In this blog, we are going to review the Copy Data activity. The Copy Data activity can be used to copy data among data stores located on-premises and in the cloud. As mentioned in the intro, we are going to pick up where we left on in the last blog post. Remember that the If Condition activity evaluates an expression and returns either true or false. If the result is true then one set of activities are executed and if the result is false then another set of activities will be executed. In this blog post we are going to focus on the If True activities. 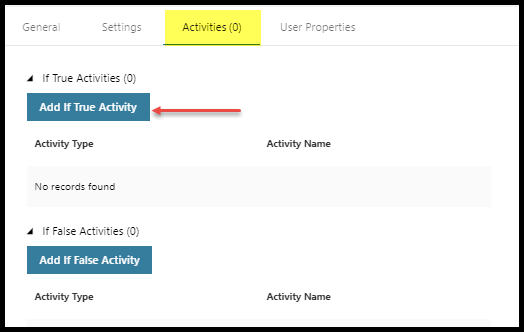 First, select the If Condition activity and then click on activities from the properties pane, highlighted in yellow in the image below. Next, click on the box “Add if True Activity”. This will launch a new designer window, and this is where we will be configuring our Copy Data activity. Fortunately the Copy Data activity is rather simple to set up and configure, this is a good thing since it is likely you will be using this activity quite often. The first thing we need to do is add the activity to our pipeline. 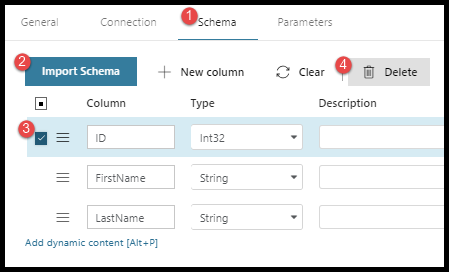 Select the Copy Data activity from the Data Transformation category and add it to the pipeline. Now we need to set up the source and the sink datasets, and then map those datasets. You can think of the sink dataset as the destination for all intents and purposes. Select the copy data activity and then click on the Source tab found in the properties window. For the dataset I am simply going to choose the same dataset we used in our first blog in this series. Now it’s time to set up the Sink (destination) dataset. 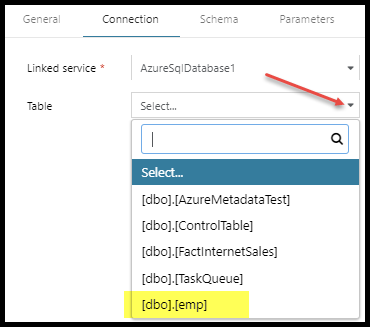 My destination dataset in this scenario is going to be an Azure SQL Database. I am going to click on Sink and then I will click on + New. When you click on + New, this will launch a new window with all your data store options. I am going to choose Azure SQL Database. Once the linked service account has been created I will select the table I want to load. All available tables will show up in the drop down list. 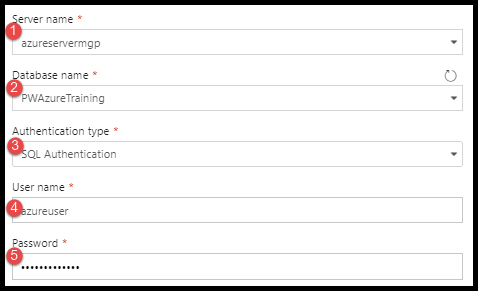 I will select my dbo.emp table from the drop down. 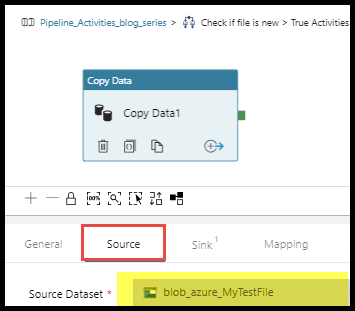 This was a simple application of the Copy Data activity, in a future blog post I will show you how to parameterize the datasets to make this process dynamic. Thanks for reading my blog!